...as these two shake hands in deliciousness. 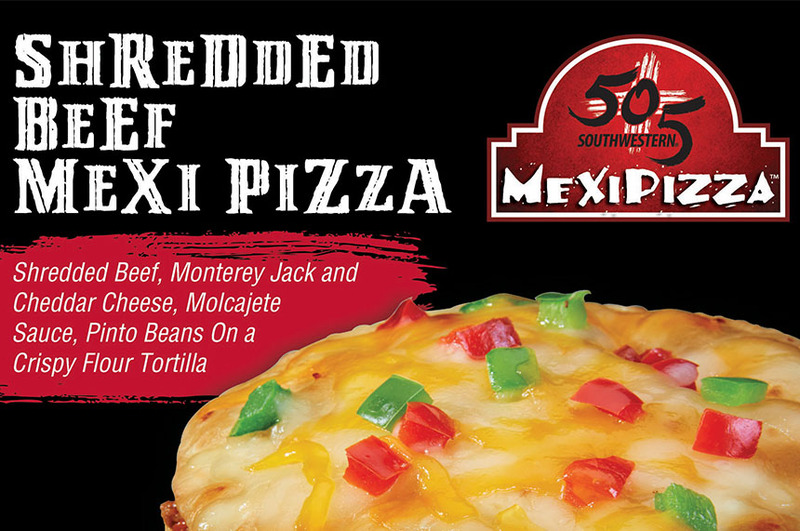 505 Southwestern MexiPizzas are a layered pizza with Monterey Jack and Cheddar Chesses, Molcajete Sauce, Pinto Beans on a Crispy Flour Tortilla. 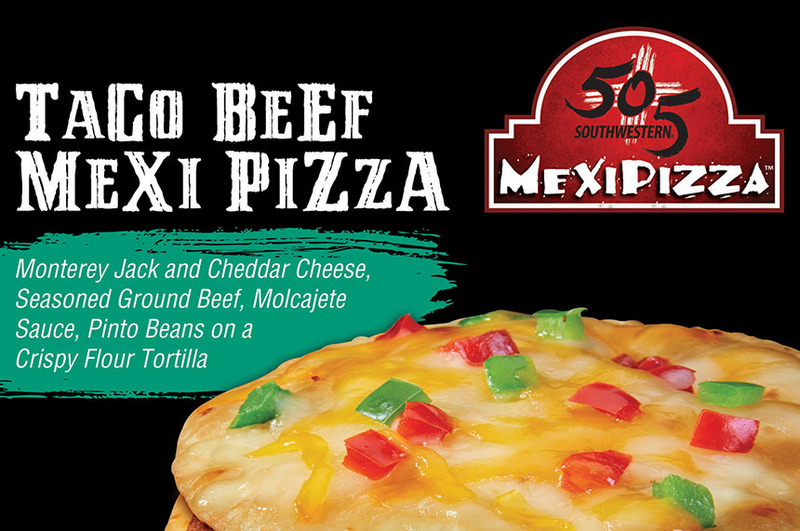 Packed with protein, our MexiPizzas feature Shredded Beef, Taco beef, Chicken, or Pulled Pork. A perfect late-night or after-school snack to keep you going.